Using mix-fibers of different length that hold each other tightly and stretch mascara creates long and elastic eyelashes. 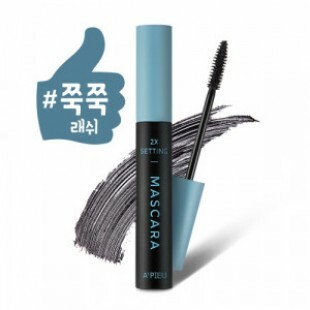 Has a high-adhesion texture, it comes in close contact with the eyelashes. Sweat and tears proof, long lasting, strong against smear caused by oil, keeps clean lashes makeup for a long time.